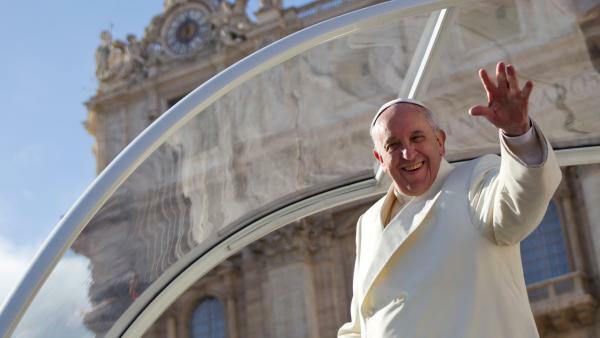 WASHINGTON, DC (WABC) -- A Bronx woman won the lottery to be the special guest of the Pope when he visits Washington, DC. Carmen Esteras, from the Bronx, won the sole ticket to attend the Joint Meeting of Congress with His Holiness Pope Francis. Senator Charles Schumer announced the winners of the statewide lottery to see Pope Francis make his address. Each of the 100 winners will receive two tickets to be part of the papal audience on the West Lawn of the Capitol. The speech will be a historic event because Pope Francis will be the first Pope to ever address a joint meeting of Congress. Tickets for both the Joint Meeting of Congress and the Papal Audience were only provided through Congressional offices and were free of charge. Winners were notified personally following the lottery. Senator Schumer said that while some winners did not wish to have their names listed publicly, those listed below are among the many winners. They will travel to Washington, DC with a guest to be a part of the papal audience in late September.